For over five decades, under the leadership of His Holiness the Dalai Lama, the Tibetan freedom struggle has remained strictly non-violent. Today, it represents not only an exemplary non-violent movement but is also a model for political moderation, democracy and the spirit of dialogue and reconciliation. 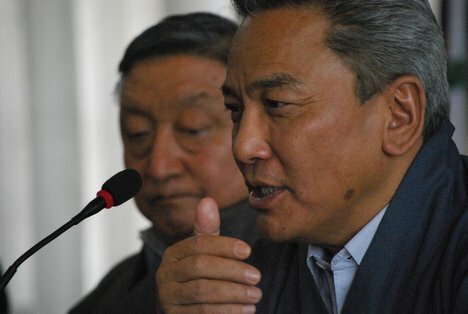 After the devolution of his political authority to the democratically elected leaders of the Central Tibetan Administration in March 2011, the Tibetan political leadership in exile has made clear that it will continue to abide by the path of non-violence and strive for genuine autonomy for the Tibetan people within the framework of the People’s Republic of China (PRC) through dialogue and negotiations. The Tibetan cause has a strong base of support in Europe. The European Parliament has called in numerous resolutions for strong and effective actions by the Union on Tibet. Sadly, so far the initiatives taken by the EU Council and Commission on Tibet have been few and seem to lack a clear and sustained policy. Today, it is clear that the framework of the EU-China human rights dialogue is inadequate for raising the complex issue of Tibet. This approach has failed to improve the human rights situation in Tibet and to bring about a sincere dialogue between the representatives of is Holiness the Dalai Lama and their Chinese counterparts. Against this background it is now high time for the European Union to act decisively on Tibet. There is a need for coordinated multilateral efforts to bring about a change in the position and attitude of the Chinese leadership on the issue of Tibet. The European Union with its political weight and high international standing is ideally suited to play a leading role in this regard. The appointment of an EU Special Coordinator for Tibetan Affairs would be a crucial step for a sustained and effective role of the European Union in resolving the Tibetan problem peacefully. The widespread sympathy and solidarity for Tibet among Europeans and the large number of resolutions on Tibet by the European Parliament present a clear and strong mandate for the EU Council and Commission to take the initiative on the Tibet issue. The appointment of an EU Special Coordinator for Tibetan Affairs would send a strong message of hope and solidarity to the Tibetans inside Tibet and will help in persuading them to refrain from acts of self-immolations. Since February 2009, there have been 17 cases of self-immolations. Alone in the past 12 months, 16 Tibetans resorted to this drastic act of political protest and 12 of them are believed to have died. As a result President Obama and Secretary of State, Hillary Clinton, have met with His Holiness the Dalai Lama in February 2010 and July 2011. President Obama expressed his strong support for the preservation of Tibet’s unique religious, cultural, and linguistic identity, and the protection of human rights for the Tibetans in China. He commended the Dalai Lama’s “Middle-Way” approach, commitment to non-violence, and the pursuit of dialogue with the Chinese government. Moreover, President Obama has called both publicly and privately for substantive dialogue between the Dalai Lama’s representatives and the Chinese government. Similarly, Secretary Clinton and Deputy Secretary of State James Steinberg have raised the issue of human rights in Tibet and the “need for China to have a deeper engagement with the Dalai Lama over Tibet within the framework of one-China-policy [...]” on multiple occasions.